Angelina Jolie has way too much time on her hands to be this wrapped up with photoshop. i don't get it.. she looks very pretty? yup thats jennifer without makeup i agree! 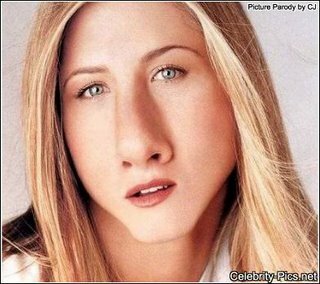 Sometimes her nose LOOKS this big... before the morphing.